DC Chauffeur Hire specialise in luxury chauffeur hire for corporate and private clients. Our proficient chauffeurs and supremely comfortable vehicles are second to none. Chauffeur hire from DC Chauffeur Drive is much more than just a car and driver. Our corporate and private clients experience the effortlessness of travelling to their destination in a cocoon of style & comfort. Our clients can relax in the opulence of a vehicle of the very highest quality. Our luxury saloons/sedans, people carriers and full size coaches are all appointed with luxury leather interiors. We also provide amenities such as on-board WiFi and complimentary water. Everything is meticulously gauged to ensure maximum luxury and satisfaction. Our proficient chauffeurs will ensure that you arrive at your destination on-time, relaxed, and revived. Our luxury chauffeur cars are spaces away from the hubbub of the pressures of business. While you travel with DC Chauffeur Drive you can relax and regroup, ensuring you are ready for your next challenge. While you enjoy the comfort of our luxury vehicles, your chauffeur will take you to your destination without you having to think of the stress of driving. You may work if you wish – facilitated by our free on-board WiFi – or you may relax with music or in silence, or enjoy pleasant conversation with your knowledgeable and friendly chauffeur. Your chauffeur car can be an oasis of calm. 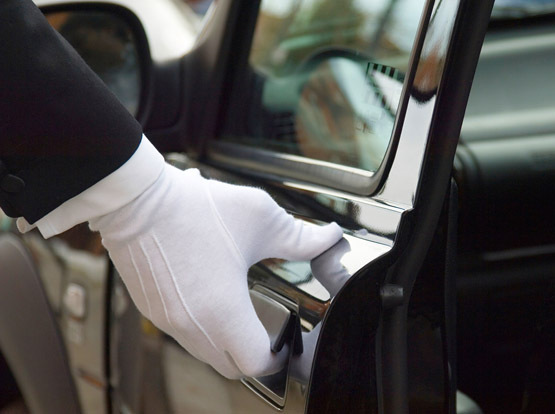 We offer premier quality chauffeur hire services for many different occasions and purposes. Whether you need a chauffeur car for business, leisure, or touring, DC Chauffeur Hire can accommodate you.